Swaziland has an estimated population of about 1.2 million people. It is a relatively young population with more than half of the population below 20 years of age. The majority of Swaziland's population is ethnically Swazi, mixed with a small number of Zulu and White Africans, mostly people of British and Afrikaner descent. Traditionally Swazi have been subsistence farmers and herders, but most now mix such activities with work in the growing urban formal economy and in government. Some Swazi work in the mines in South Africa. The Kingdom of Swaziland is a landlocked country in Southern Africa, bordered to the north, south, and west by South Africa, and to the east by Mozambique. The nation and the people are named after the 19th century king Mswati II. There are endless things to explore in the beautiful country of Swaziland. Stroll down a market lane, visit shopping centers, hike along nature trails, gasp over the panoramic farm/valley views, and meet the locals on their farms. Explore wildlife sanctuaries to see the lions, elephants, white rhinos, giraffes, hippos, kudu, and antelope in their natural habitat. Take a water raft down the Zambezi, go caving in the Gobholo caves, mountain bike or hike, and see cultural routes through the Sibebe Rocks. For the art lover, there are several galleries that showcase sculptures, fabrics, art, and ceramics. If you want to immerse yourself in the cultural landscape then a cultural tour can be arranged where you might participate in the daily life of the Swazi people. Swaziland, though very small, has four different regions determined by altitude. 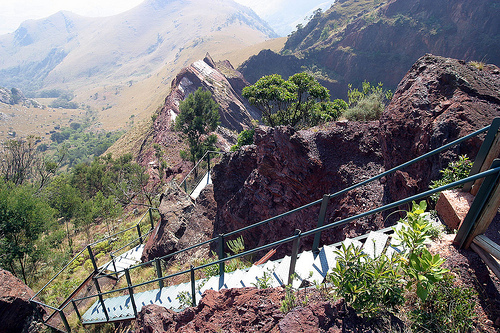 Along the eastern border with Mozambique is the Lubombo, a mountain ridge, at an altitude of around 1968 feet. The mountains are broken by the gorges of three rivers: the Ngwavuma, the Usutu, and the Mbuluzi. The Highveld, along the western border of the country, with an average altitude of 3934 feet, lies on the edge of the escarpment. 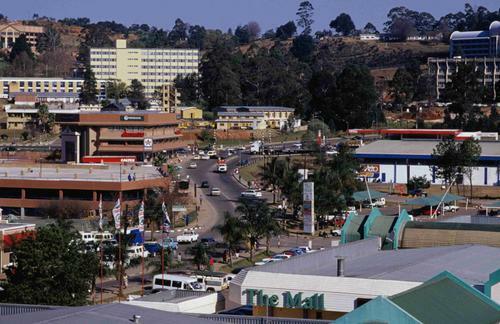 Mbabane, the capital, is located on the Highveld. The seasons are the reverse of those in the Northern Hemisphere with December being mid-summer and June mid-winter. The Highveld temperature is temperate and, seldom, uncomfortably hot while the Lowveld may record temperatures around 40 degrees Fahrenheit in summer. 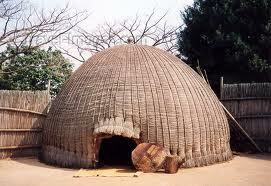 Bantu peoples migrated southwest to the area of Mozambique in the 16th century. 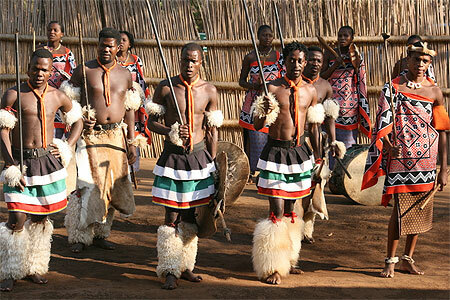 A number of clans broke away from the main body in the 18th century and settled in Swaziland. In the 19th century these clans organized as a tribe, partly because they were in constant conflict with the Zulu, and their ruler, Mswazi, appealed to the British in the 1840's for help against the Zulu. The British and the Transvaal governments guaranteed the independence of Swaziland in 1881. South Africa held Swaziland as a protectorate from 1894 to 1899, but after the Boer War, in 1902, Swaziland was transferred to British administration. The paramount chief was recognized as the native authority in 1941. In 1963, the territory was constituted a protectorate, and on Sept. 6, 1968, it became the independent nation of Swaziland. Since 1986, King Mswati III has ruled as sub-Saharan Africa's last absolute monarch. Swaziland has some of the most gorgeous scenes in Africa. There are a variety of things to do and awe inspiring places to see. For the adventurer, Swaziland offers seemingly endless valleys, hidden hot springs, hiking trails, nature reserves, and game parks. There are three major game reserves: Mlilwane, Mkhaya, and Hlane. If you feel adventurous, Swazi Trails is an adventure guide group that takes travelers white water rafting down the Zambezi, caving in the Gobholo caves, and on mountain biking, hiking, and cultural routes through the Sibebe Rocks. Nisela Safaris, situated near the Lembombo Mountains, conduct day-night game drives and guided bush walks during which you'll encounter abundant wildlife! They offer accommodation in a safari lodge, beehive village, or grassy campsite. Other places of interest include Cuddle Puddle, cultural tours to Kaphunga Village, The King Sobuza II Memorial Park and, if you are in Swaziland in August, don't forget the Umhlanga Reed Dance! There are several nightlife spots in Swaziland. If you prefer the quieter traditional bars they are easy to find. You can go there to meet with the friendly locals who will be happy to fill you in on the latest happenings. In Mbabane, the capital, there are nightclubs and discos, some with live music and cabarets. The main attraction in Ezulwini Valley is the casino at the Royal Swazi Hotel, and there is also a cinema there. In Manzini, Swaziland's major business center, whatever your musical tastes, there are various offerings at one of the bars or clubs. Most bars offer a variety of local and international drinks in addition to local cuisine. The most common religion in Swaziland is Christianity. Currently, there are many Christian groups, from Roman Catholics to the Afrikaner Calvinists. There are also non-Christian religions including Islam, the Baha'i Faith and Hinduism. 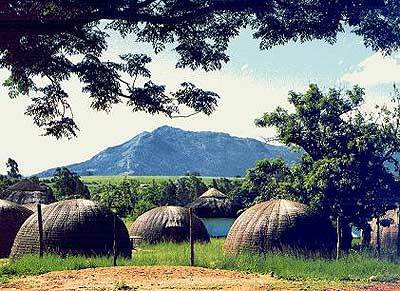 The official languages in Swaziland are Seswati, or Swazi, and English. About 76,000 people in the country speak Zulu. Another lesser-used language in Swaziland is Tsonga. 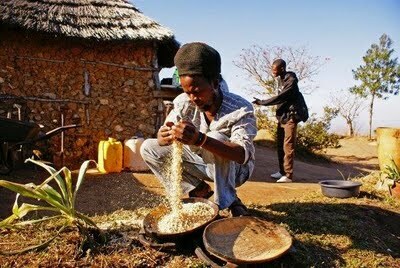 There are a variety of restaurants and eateries in Swaziland. Some of them serve international cuisine with a Swazi spin, and others that cater especially to locals and visitors who are interested in sampling the traditional Swazi dishes. Swazi dishes are simple and tasty, a combination of native fruit and vegetables with goat, game animals, or fish as the main dishes. The use of ginger is prevalent in Swazi dishes, especially with fish. Limejuice and garlic are use to marinate meat, another practice that usually results in a delightful tasting dish. Outside the cities, samp or sitambu is a staple of the diet and is often accompanied by stews and sauces. Cornbread is another staple of the diet that often accompanies main meals. Mouth-watering local dishes that you can look forward to include sishibo, goat stew, roasted leg of goat, and lipalishi, commonly known as pap.